1. 35 Gifts Your Children Will Never Forget. As we are bombarded by a culture of excess, particularly as we prepare for baby and all of the "necessities" that come along with that, this article was a good reminder that the real things children (or anyone, for that matter) need aren't material possessions! 2. 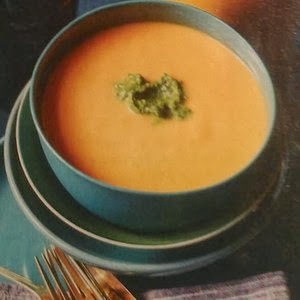 I made this white bean and pumpkin bisque from Cooking Light's November 2013 issue. I had every intention of blogging it, but a mix of laziness and dark evenings meant I never got around to photographing it. I ran out of time to make the sage pesto and we still really liked it without (threw homemade croutons in there instead), but I think it'd extra good with the pesto addition! 3. 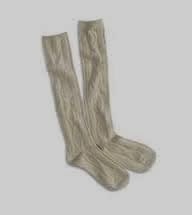 The picture quality is unfortunately terrible (you can see them up close here), but I've fallen in love with American Eagle's Cable Shine Knee sock. They're the perfect socks to wear under boots and look so cute peeking out above the boots with their shimmery thread. I may or may have sometimes worn them two days in a row, and I plan to go back and get them in charcoal as well! 4. 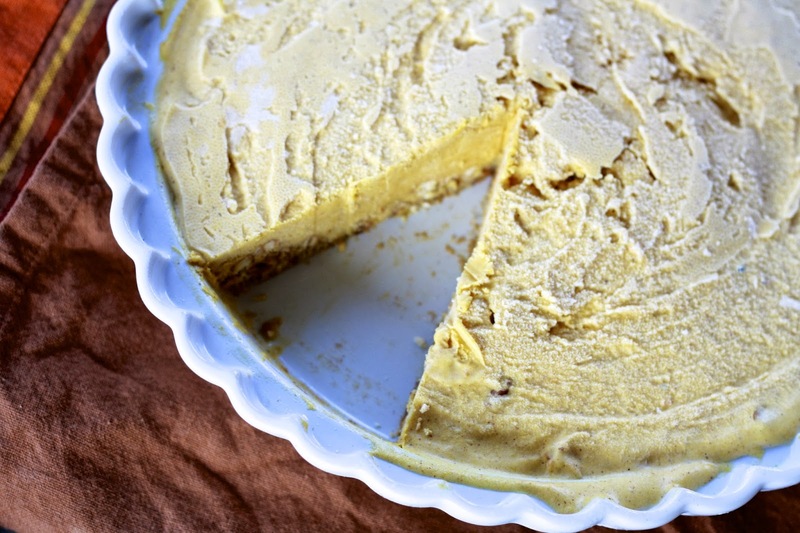 I have a really good idea for you: pumpkin ice cream pie with pretzel crust. Basically you take the pretzel crust from margarita pie (half of it to yield one pie) and add pumpkin ice cream, either store bought or homemade. The finished result is sweet and salty and seasonal...plus it'd make a great make ahead dessert for Thanksgiving!